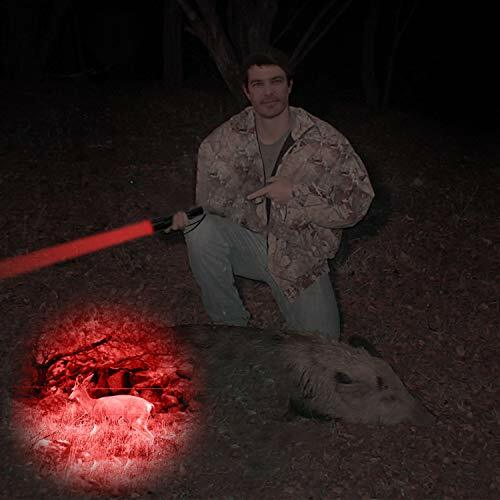 * Sizes: length 7.09", head diameter 1.85", body diameter 1"
High Performance Predator hunting light kit: 3 different color beams- green,red and white. 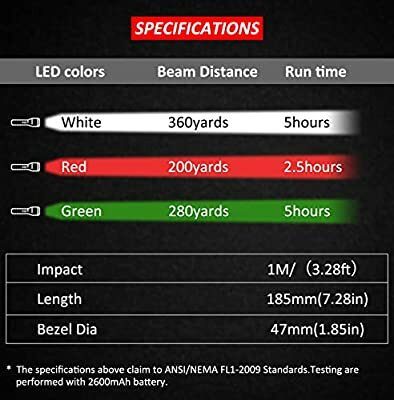 Tool-free interchangeable led modules (featuring the Cree XPE LED),all with a tight beam equipped with Deepened SMO lighting reflector. We don't use colored lenses like other lights as lenses greatly reduce the light output. Momentary coiled pressure remote switch:Press and hold the button to turn on the light,and release to turn it off.It won't bring a noisy click sound while activated. 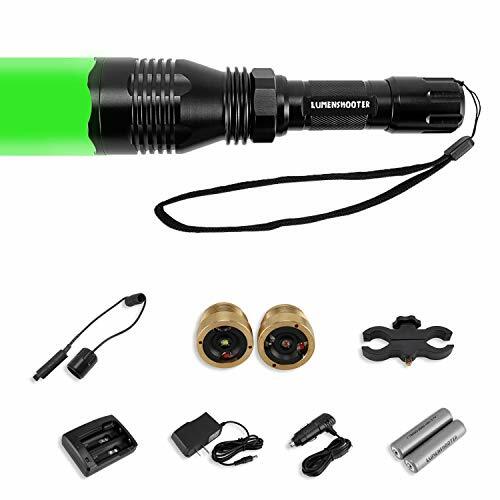 The hunting flashlight kit comes with a home charger and car charger,and 2pcs rechargeable lithium ion 18650 2600mAh batteries,you will get an average 3-5 hours of constant run time. 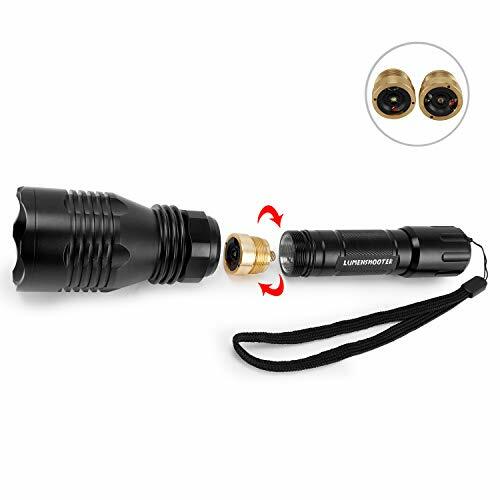 Aluminum alloy housing, anodized for durability, rainproof.This hunting flashlight is designed for hunting coyote,hog, bobcat etc. 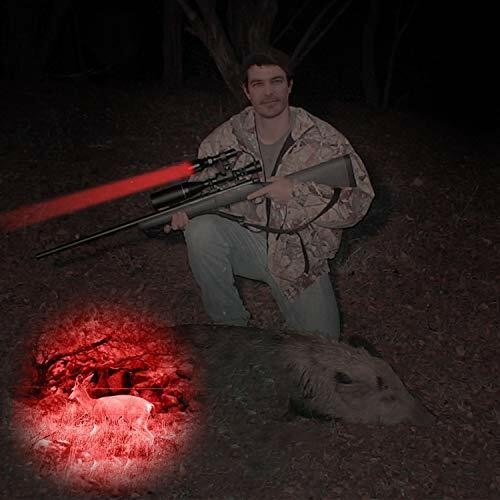 The quick release universal scope mount can fit different scope sizes from 1'' to 30mm.